$18.99 & FREE Shipping on orders over $59. 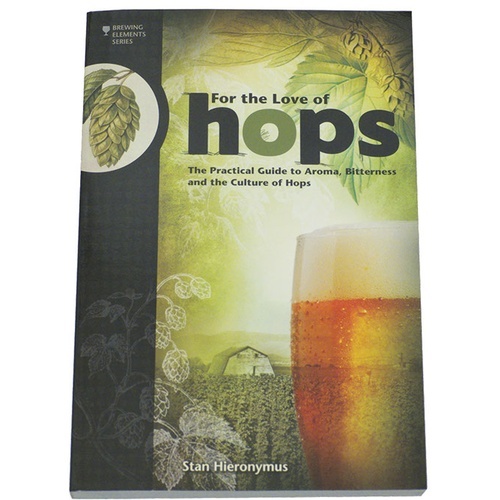 This book covers everything that we, as brewers, need to know about the marvelous flowers we endearingly term Hops. The author, Stan Hieronymus, covers over 100 Hop varieties from around the globe, and explains not only their basic flavor characteristics and acid attributes, but their history, origins, and specific style uses! He explains hop chemistry and the impact it can have upon your brew, and how to use that knowledge to improve your brewing skill, consistency, and enjoyment! This is an extremely interesting book that will boost your understanding of one of the greatest ingredients in beer, as well as improve your ability to utilize them properly. Along with all the knowledge on hops, Stan also provides 16 recipes from around the world, including some from top US craft breweries! It was a fun book to read, with good coverage of the history of hops. However the other material on using hops I've seen elsewhere, so overall an experienced brewer might not get much out of the book, other than the history.